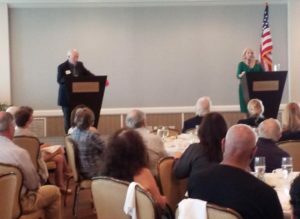 The two most important presidential investigations in U.S. history – Watergate and Trumpgate – came together and were discussed extensively at the Longboat Key Democrat Club’s monthly luncheon. The Topic: Where Are We and Where Are We Going with The Trumpgate Russia Investigations? 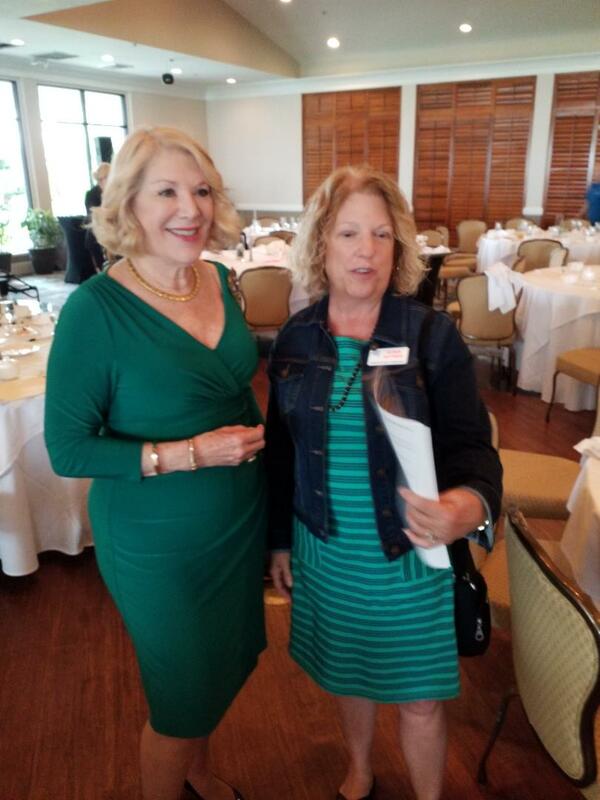 Jill Wine-Banks, famed, former Assistant Watergate Prosecutor and MSNBC legal analyst, traveled on the Boulevard of the Presidents to Longboat Key, Florida, to discuss the just-released Mueller investigation report and its impact on the nation. It’s been nearly two weeks since Mueller submitted his findings to Attorney General William Barr. Conspiracy, collusion, co-conspirator and impeachment weigh heavily on the minds of many Americans. “We’re excited to have Jill here at our meeting to talk about threats to our democracy. 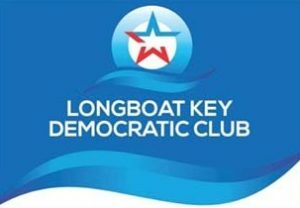 We began with her in October and are ending our program with her in April,” said Ken Marsh, president of the Longboat Key Democrat Club. Like most Americans, Wine-Banks admitted that she is grappling with events that are unfolding. “I can’t wait to see Mueller’s report,” she said. 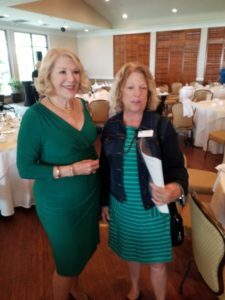 Ruth Cooperrider, Longboat Key, a former prosecutor from Iowa discussing a standard of proof for impeachment with Jill Wine-Banks. As a seasoned prosecutor, with an eye for the truth, Wine-Banks has questions she would like answered. “Why all the lies? There has to be a reason. What did the President know and when did he know it? What did he do about it,” she asked. 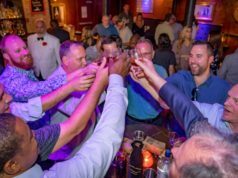 Despite the White House’s claim of exoneration, Wine-Banks assured the audience that there’s more to come because Barr used partial sentences from the Mueller report in his memo. 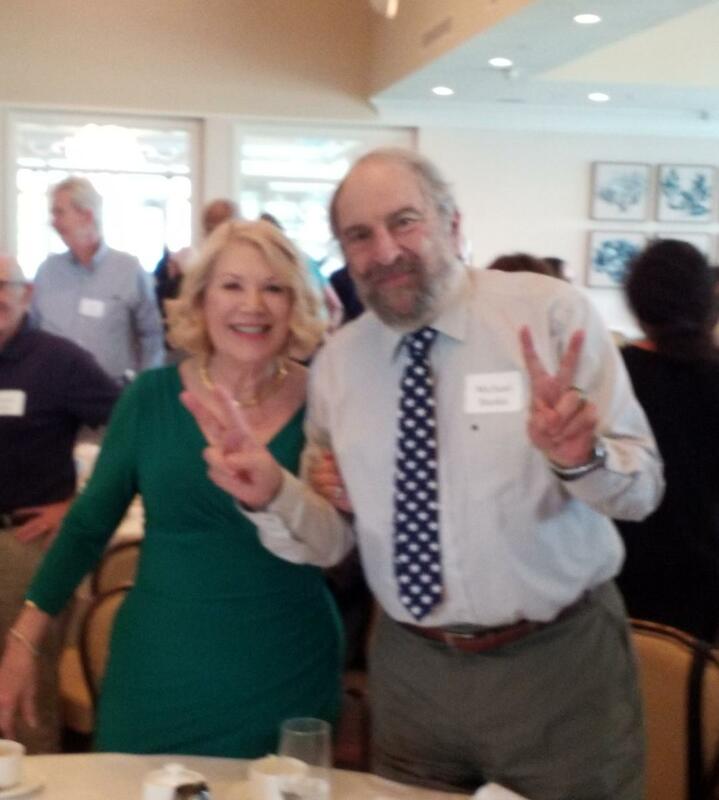 “Allen Weisselberg (C.F.O. of the Trump Organization) is the greatest threat to Trump. He knows everything,” she stated. Reaction to Wine-Banks presentation was overwhelmingly encouraging. “She covered a lot of information. She knows how to synthesize everything. 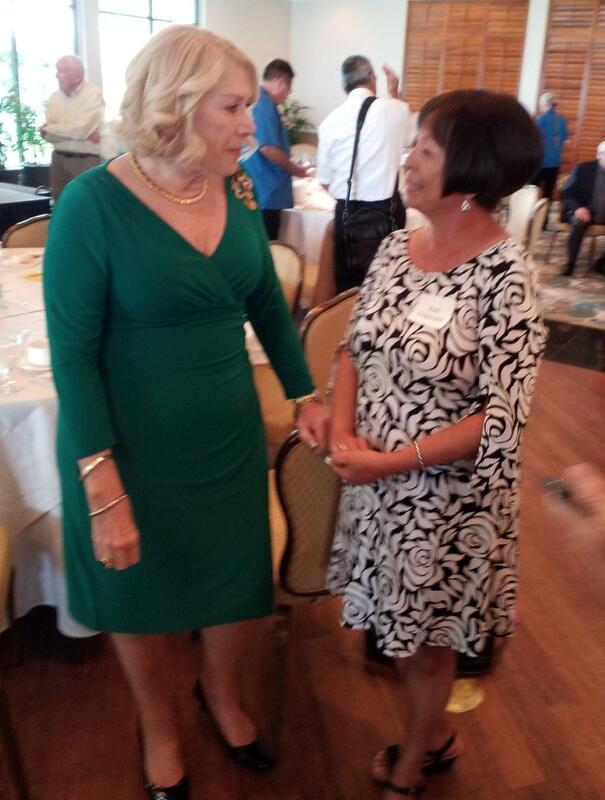 I am thrilled to be here,” said Arlene Skversky, a resident of Longboat Key and a Democratic Precinct Captain. 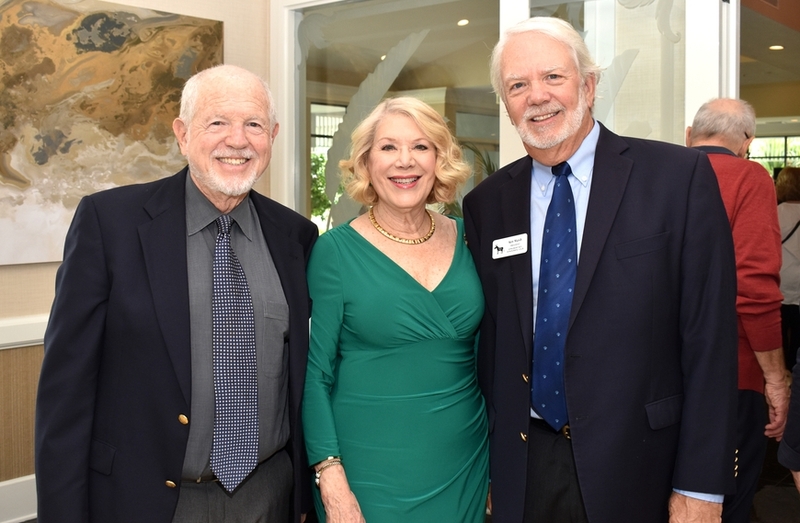 “It was wonderful to see so many people turn out to hear an authority like Jill Wine-Banks talk about corruption in the Trump administration and the Mueller report,” said Barbara J. Katz, a resident of Longboat Key and member of the board of the Longboat Key Democrat Club. Wine-Banks was a crucial legal force during the Watergate investigation. Her experiences and wisdom are as valuable today as they were in the 1970’s. 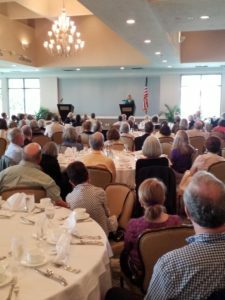 During her presentation, she mentioned names that are etched in the minds of many who were absorbed by the Watergate hearings nearly 50 years ago. Ervin, Magruder, Porter, Cox, Halderman, Jaworski, Dean were just some of the newsmakers from that time. Was Mueller influenced because he’s a Republican? Is the President a Russian operative? JWB: He could be. He had a motive to cooperate. Do you think we may have a Watergate moment? JWB: It would take something like the smoking gun tape. I hope there is. Wine-Banks was the prosecutor who exposed to the world that the Nixon tapes could not have been accidentally erased. She remembers the historic moment like it was yesterday. Woods, President Nixon’s secretary, had to explain to the court the 18 ½ minute gap in a Nixon recording. 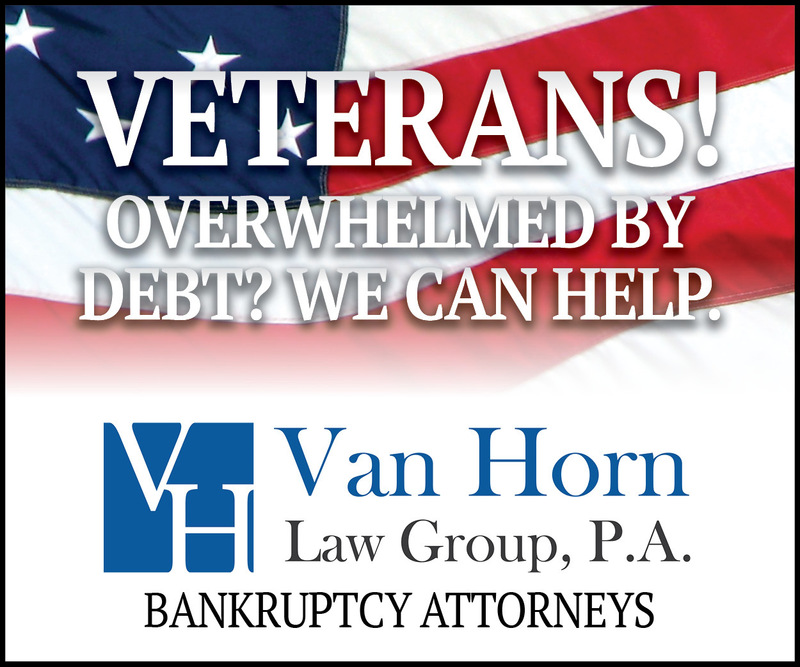 “The White House threw her under the bus,” Wine-Banks stated. Woods testified that while she was at her desk she kept her left foot on the pedal, reached for the phone and by accident erased part of a conversation on the tape. Wine-Banks had her demonstrate in court. Woods told the court that being in a courtroom was different than being at her desk typing, transcribing and answering the phone. “So off we went to the White House. 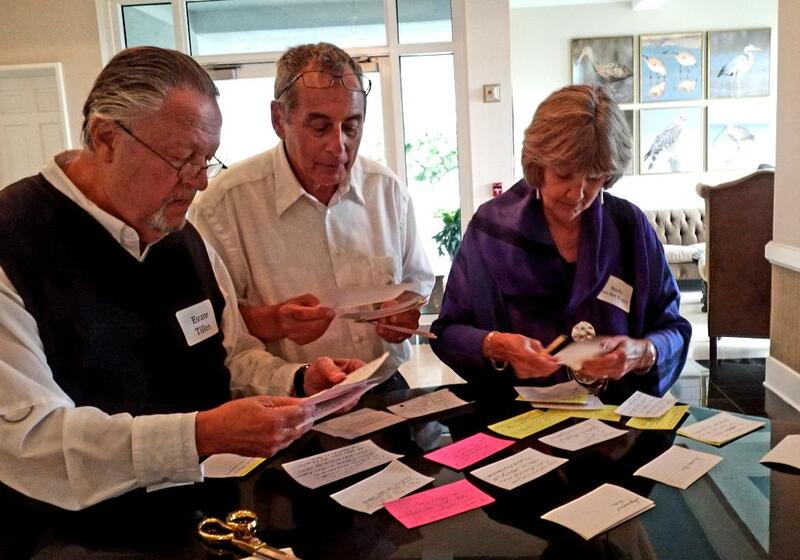 It was the first time I had ever been anywhere near the Oval Office,” Wine-Banks revealed. 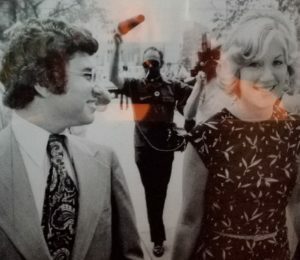 President Trump has made Watergate relevant again and given me a new career as an MSNBC Contributor and Legal Analyst. I’m now working on a book about Watergate and Trumpgate and speaking in many forums on that subject and others, including how to succeed in the face of the sexism once again rampant because of Trump’s behavior. 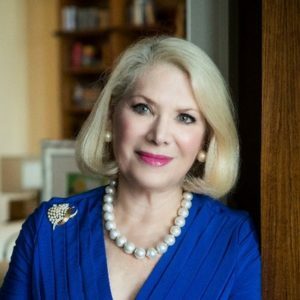 Jill Wine-Banks is currently an MSNBC Legal Analyst, appearing regularly on primetime and daytime shows. 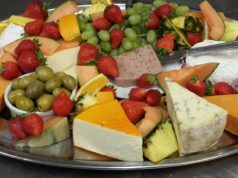 She also appears on PBS, Canadian and Australian networks, Sirius XM, NPR and other radio shows, including Stephanie Miller’s, and podcasts. A sought-after speaker, Jill appears before professional, political, women’s and business groups, universities and law schools. 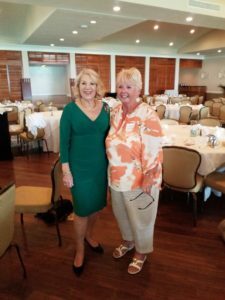 She has been featured in several documentaries and films, including Robert Redford’s All The President’s Men Revisited, ABC 20/20, and Michael Moore’s Fahrenheit 11/9. Ms. Wine-Banks began her career as the first woman to serve as an organized crime prosecutor at the U.S. Department of Justice in Washington, D.C. After just over four years, her trial capabilities and win record led to her selection as one of the three Assistant Watergate Special Prosecutors, where she was again the only woman, in the obstruction of justice trial against President Nixon’s top aides, including his Attorney General, Chief of Staff, and Chief Domestic Adviser. President Nixon was named an unindicted co-conspirator in that case. Her team delivered a briefcase of evidence to the House Judiciary Committee as a road map to impeachment. 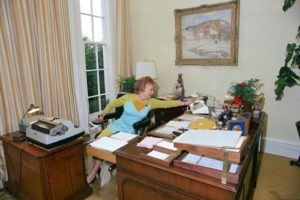 She was also a major player in the Watergate tapes hearing, cross-examining Rose Mary Woods, President Nixon’s secretary, about the 18 ½ minute gap in a key White House recording.